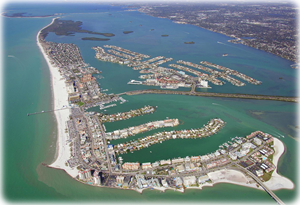 Welcome To Clearwater Beach Florida, Your "Get Away" Destination. Whether you’re an owner looking to sell your home, a new resident seeking a new or pre-owned residence; a visitor searching for a fabulous vacation, seasonal rental or permanent residence; or an owner needing help maintaining and/or leasing your property, we are the go-to experts for Pinellas County vacation and year-round real estate. Please visit our Properties for Sale or Properties for Rent or email us right now and let us know what you need. If you have a property to list for sale or lease, please call today so we can list your home right away: 866.206.7123.